The next series of non-league games versus the New York Aviators. The Long Island Stingrays fall to the New York Aviators, 9-3, in their second non-league game. 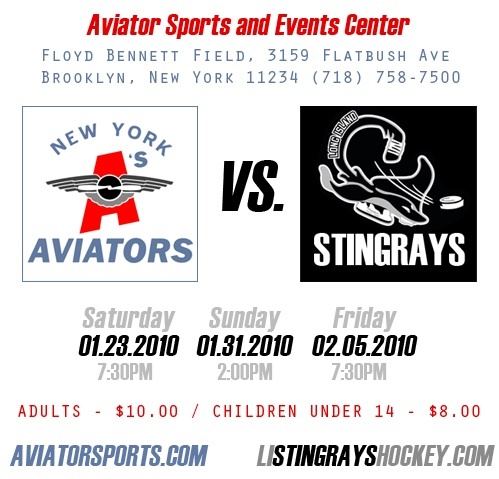 In one of the most competitive games played this season, the New York Aviators defeated the Long Island Stingrays 9 to 3 on Tues Dec 28 in a Non-League competition. In the first period, Long Island struck first with a goal by Eddie Chandra. 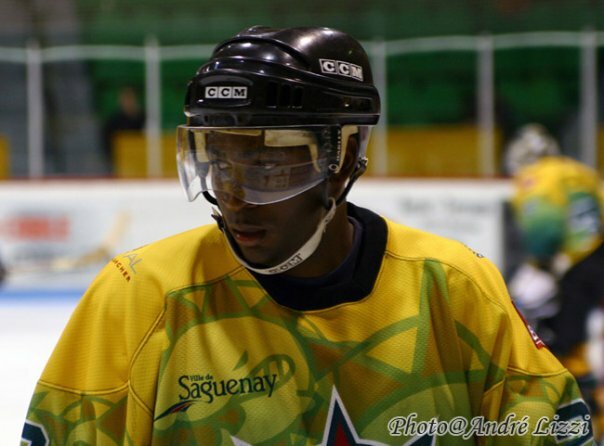 The A’s came back in the end of the period with one goal coming from Angelo Serse and a power play goal from Chris Holmes. In the second period, the Aviators scored first with a goal from KC Timmons and then a second power play goal from Andrew Scampoli to make it 4-1, but the Stingrays were right at their heels with two goals of their own from Vin Hellemeyer and Tony Colombo to bring the score back to 4-3. Newberg, one from Jesse Felton, and one from Angelo Serse his second of the night. had a total of 29 saves on the night. The win brought the Aviators undefeated record to 15-0 for the season. For tickets call 718-758-7580 or email johnc@aviatorsports.com. Adults $10 | Kids $8. Check the calendar for the whole season — and get your tickets now! Marc Harris, player and head coach of the Long Island Stingrays, has announced the team roster for 2009-2010.The Stingrays will compete in exhibition games against the New York Aviators of the North East Professional Hockey League on December 15, 2009 at the Aviator Sports and Events Center at Floyd Bennett Field in Brooklyn, NY.